Changes on the HB scale were prospectively followed-up in patients with facial palsy and prognosis of the disease was determined accordingly in subdivisions. Once other potential causes of facial paralysis are excluded, including tumor, Lyme disease, and shingles, the specific cause of Bell's palsy is usually not identified," David Simpson, M.
Bell's palsy has been defined as an acute peripheral facial nerve palsy of unknown etiology1. In our opinion, there may be some possible causes of hypoglossal nerve palsy in this case report. Keywords: Cerebral Palsy, CP, Bone mineral density, BMD, Dual energy X-ray absorptiometry, DEXA, Lumber vertebra. 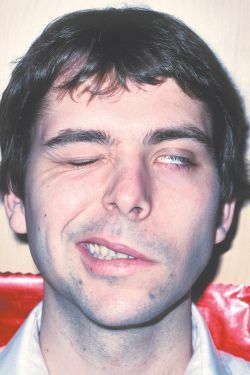 Bell's palsy is a facial nerve palsy involving the lower motor neuron. The damage of cerebral palsy affects the way the brain interprets information and jumbles up its messages. Postoperative C5 palsy is a well-recognized complication of cervical decompression surgery. Newly formed British challenger bank Aldermore on Wednesday revealed that a team from its Wilmslow office has taken part in a garden makeover on behalf of Stockport Cerebral Palsy Society. Family days have been introduced by the charity, as a way of ensuring that children affected by facial palsy, their siblings and parents, are able to have a fun, relaxed day and meet others in the same position.